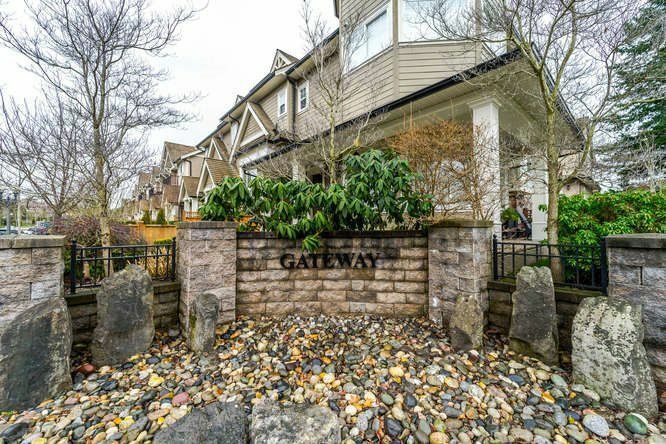 GATEWAY at Morgan Creek ~ Spectacular executive townhouse in Morgan Creek that shows like new! This beautiful 3 bedroom, 3 bathroom, end unit has been immaculately maintained. Stunning open kitchen features French white cabinetry, upgraded stainless steel KitchenAid appliances and granite countertops. Spacious master bedroom with vaulted ceiling, walk-in closet and 5 piece en suite with claw foot tub and large shower. Upper level has 2 additional generously sized bedrooms with their own bathroom. Stunning living room with 13'4" foot vaulted ceiling that is sure to impress your guests. Other extras include powder room on main floor, handscraped hardwood flooring and extra storage in huge crawl space. Call today for a private viewing. This is a must see!